Bar Harbor Bank & Trust has named Jaime Frederes as its Senior Vice President and Director of Residential Lending. Frederes is responsible for the overall bank leadership, franchise growth and business-line profitability of the Residential Lending division throughout the Bank’s footprint of Maine, New Hampshire and Vermont. Frederes’ office is located at 1000 Elm Street in Manchester, New Hampshire. With over 20 years’ experience in residential lending leadership at both regional and national lending institutions, Frederes is especially skilled at developing successful processes and training to provide the best products and customer service to those seeking home financing. Most recently Frederes was Vice President, Area Lending Manger for Bank of America in Southern/Central Massachusetts and Rhode Island. Prior to that role he served as Vice President, Area Lending Manager for Bank of America for Northern New England. “Jaime is a seasoned executive with a history of demonstrated achievement and performance in all aspects of Residential Lending, one of our critical and core business lines. We welcome Jaime to our team,” commented John Mercier, EVP and Chief Lending Officer at Bar Harbor Bank & Trust. Frederes holds a bachelor’s degree in management with a concentration in finance from St. John Fisher College in Rochester, New York. 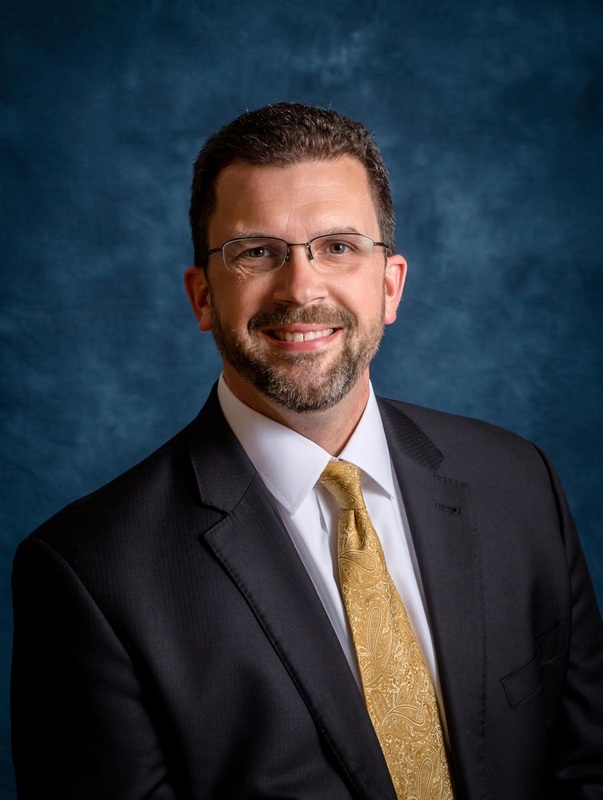 In the community he has served as both President and an Advisory Board Member of the Mortgage Bankers Association of Genesee Region and a Board Member of Bishop Sheen Ecumenical Housing Foundation. Bar Harbor Bankshares (NYSE American: BHB) is the parent company of its wholly owned subsidiary, Bar Harbor Bank & Trust. Operating over 50 locations across Maine, New Hampshire and Vermont, Bar Harbor Bank & Trust is headquartered in Bar Harbor, Maine and has more than $3.6 billion in assets. As a leading Northern New England community bank, Bar Harbor Bank & Trust offers a full range of personal and business banking services, as well as wealth management services through its subsidiaries Bar Harbor Trust Services and Charter Trust Company. For more information about Bar Harbor Bank & Trust, visitwww.barharbor.bank or call 888-853-7100. Member FDIC. 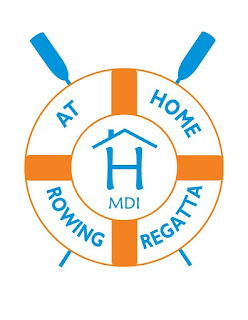 Calling all hibernating rowers and paddlers! 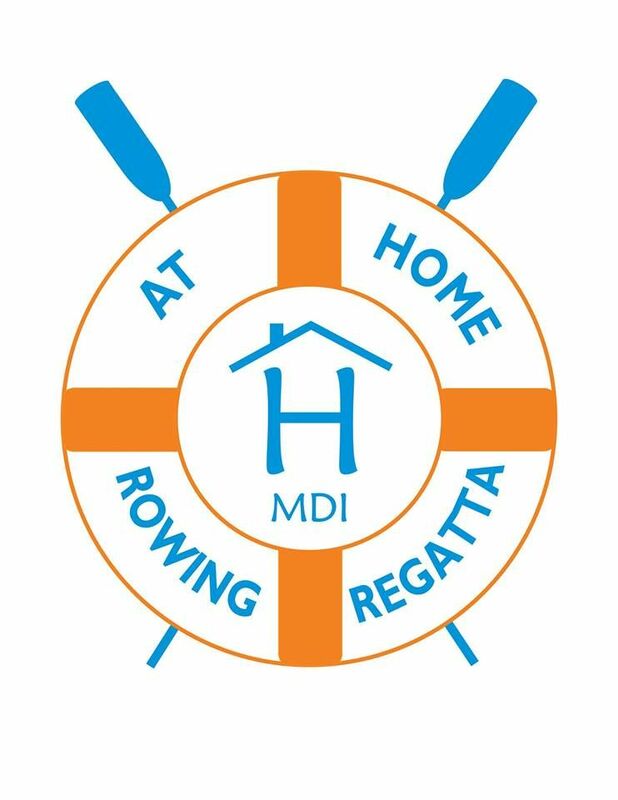 Just when you need something to look forward to, the At Home Aging In Place program announces a fundraising Rowing Regatta for Saturday, June 15 at the Hinckley Boat Yard, Southwest Harbor. Think of it...warm weather...more than 15 hours of daylight...and the chance to get out on the water and show your stuff for a great cause. All human-powered craft—rowboats, canoes, sculls, paddleboards, kayaks, etc.—are welcomed. Specially made trophies from Seal Cove Pottery will be awarded to the top three finishers in races of various lengths—1 mile, 2.5 miles and 5 miles. Fun prizes will be awarded in other categories as well. At the same time, a huge Marine Salvage Sale will be happening onshore at Hinckley’s. Wares donated by MDI area boatyards as well as goods offered by private sellers will help to get boat owners ready for the summer ahead. Stanley Subaru has donated a scooter to benefit At Home and tickets will be on sale. A food truck will be on site throughout the day as well. 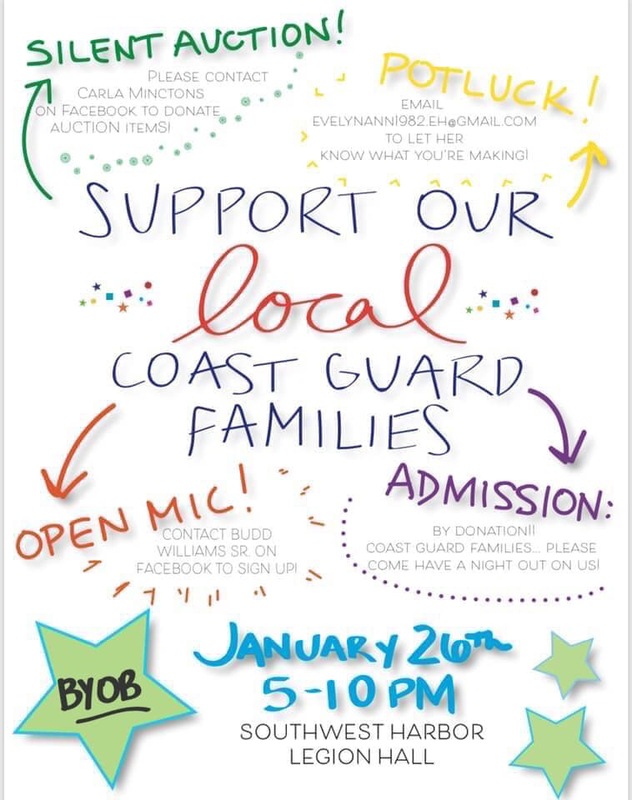 Proceeds will benefit At Home, a program of Downeast Community Partners that empowers elders to live independently while staying connected to the community. At Home is pleased to acknowledge First National Bank as the top sponsor of this inaugural regatta. So, save the date: June 15. Let’s pull together to support a great cause! Dr. Mark Kandutsch discusses platelet-rich plasma therapy, an innovative treatment for musculoskeletal injuries, with patient Robin Clarke, a personal trainer and marathon runner who received the treatment following a meniscus tear in 2016. Clarke, who went on to run a 5K just days after the treatment, has seen long-lasting results from platelet-rich plasma therapy. While professional athletes have long used platelet-rich plasma therapy, or PRP, to treat a variety of chronic musculoskeletal injuries, the treatment has been slower to catch on in the mainstream. This hasn’t stopped Dr. Mark Kandutsch from offering the innovative regenerative injection therapy at Cadillac Family Practice in Bar Harbor for the last 12 years. “It's been really a particularly rewarding area of interest for me, I've had a long history of being interested in musculoskeletal medicine, and platelet-rich plasma is really the most exciting thing that I've come across anytime recently in my practice.” Thanks to advances in technology, Dr. Kandutsch has recently introduced a new fee structure that makes the treatment a little more affordable as well. Platelet-rich plasma therapy is a regenerative injection therapy technique that uses patients’ own platelets to heal torn joints and ligaments. The process involves placing a small amount of the patient’s blood in a centrifuge that rotates at high speed, separating red blood cells from the platelets that release proteins and other particles involved in the body’s self-healing process. A teaspoon or two of the remaining substance is then injected into the damaged area. Studies reveal that PRP helps regenerate ligament and tendon fibers, which can accelerate the healing process. The high concentration of platelets—from 3 to 10 times that of normal blood—often prompt the growth of new soft-tissue or bone cells. PRP can be used to treat joint pain, acute and chronic muscle strain, ligament sprains, tendonopathy, tendonosis, plantar fasciitis, some meniscal and labral injuries and sacroiliac pain. The treatment takes about an hour, with a considerably shorter recovery time than surgery. Part of the reason for that PRP has been slower to catch on despite its obvious benefits is that it is not typically covered by most health insurance plans, says Dr. Kandutsch. A longtime proponent of the therapy, he has worked to increase access and decrease the cost of the procedure in his practice. Thanks to recent advances in the field, Dr. Kandutsch is now able to offer the treatment for as little as $400 to $600 per session. Depending on the area and condition, one session may be enough, while some injuries may require two or three. When local marathon runner and fitness instructor Robin Clarke found out that she had a torn meniscus in her right knee in 2016, she was concerned that knee surgery would prevent her from running competitively. That’s when she heard about platelet-rich plasma therapy. The treatment appealed to her because it was an alternative to surgery that had a far shorter recovery time. “That was the amazing part for me. One of the big reasons why I chose it was because I had my second Boston Marathon coming up that April. The big draw for me was that I could heal as I continued to have my active life and still not take time out from work or doing the things I like to do,” says Clarke. Because of PRP, Clarke was able to avoid surgery and regain function in her knee with just one injection—and run a 5K just days after her procedure. Returning to normal activity this quickly is not typical, cautions Dr. Kandutsch, but neither is Clarke, who went on to win the 5K. For information on PRP, visit mdihospital.org or contact Dr. Kandutsch at Cadillac Family Practice in Bar Harbor at 288-5119. Welcome to new Chamber Member - Southwest Harbor Historical Society! We are excited to welcome the Southwest Harbor Historical Society to the Chamber. They have recently purchased and moved into the Manset Union Church, and are looking forward to an exciting future. The Society is dedicated to the preservation, documentation, and presentation of the history of the Town of Southwest Harbor since, and prior to incorporation as a Town in 1905. They are open by chance, during meetings, or by appointment. Keep an eye on their web site for updates, at http://www.swhhs.org/. This past summer Hinckley Yachts awarded a $2,500 grant to the Southwest Harbor Public Library in celebration of the company’s 90th anniversary. The Library used the funds to add 1,400 Hinckley related photographs to its Digital Archive. The images are of sail and motor yachts, working boats, and vessels Hinckley built for the military during WWII (in 1942, the company received the Army-Navy "E" Award for excellence in production of war equipment). Many of the photos show boats under construction and under sail off the waters of Mount Desert Island. The images can be seen online at swhplibrary.net/hinckley. The Digital Archive contains more than 10,000 historical photographs, documents, maps, and research material given to and shared with the library since about 1900. The collection illustrates the way people, businesses, vessels, places, structures, organizations, and events relate to one another and tells the story of how islanders and “people from away” lived on and visited Mount Desert Island, Maine, in the nineteenth, twentieth, and twenty-first centuries. The Library has a backlog of some 30,000 items still to go into the Digital Archive. Thanks to dozens of volunteers who spent thousands of hours scanning, most of the items have been digitized, but are not yet cataloged. “Hinckley not only helped us catalog more items, their financial assistance serves as an affirmation of the importance of the tireless effort of Library volunteers who have given so much time to preserve our rich history” said Library trustee George Soules. Hinckley has been building and servicing America’s finest yachts since 1928. 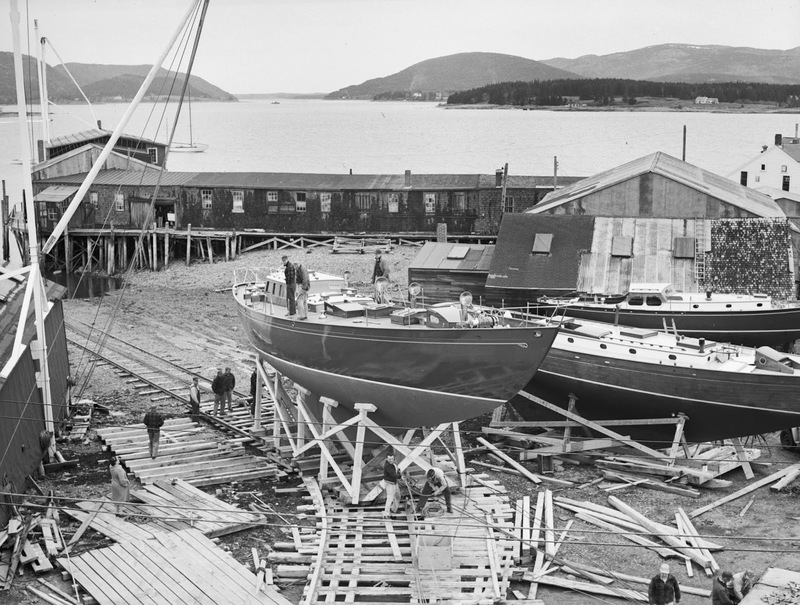 Founded to build and care for the boats of the local lobstermen in Southwest Harbor, Maine, Hinckley quickly developed a reputation for unsurpassed quality and innovation. The years that followed saw the company building true classics of American yachting from the Bermuda 40 to the Picnic Boat. Each new Hinckley yacht carries with it the symbol, Talaria, which marks the swift pursuit of superior ideas. Today, Hinckley builds highly innovative, owner-driven, power and sailing yachts from 29 to 55 feet. Nine yacht care centers from Maine to Florida complete the Hinckley offering by providing service, refits, transportation and storage for a pinnacle ownership experience. To learn more about the Digital Archive, visit swhplibrary.net or call the Library at (207) 244-7065. To learn more about Hinckley Yachts, visit hinckleyyachts.com. Bar Harbor Bank & Trust is pleased to announce the availability of a $1,500 scholarship for high school graduating seniors who are going on to college. The scholarship is for income eligible applicants who have attended a technical career program as part of their high school curriculum. There is the potential for 15 awards of $1,500 each. From qualified applicants, one student may be chosen per technical center in the geographic region outlined below. The deadline to apply is May 1, 2019. Applications are available at any branch of Bar Harbor Bank & Trust and can also be found online at www.barharbor.bank. Students residing in the following counties are eligible: Maine – Hancock, Kennebec, Lincoln, Penobscot, Sagadahoc, Waldo, and Washington; New Hampshire – Grafton, Hillsborough, Merrimack and Sullivan; Vermont – Orange, Rutland, Washington and Windsor. The eligible technical centers include: Maine - Bath Regional Career & Tech, Capital Area Technical Center, Coastal Washington County Institute of Technology, Hancock County Technical Center, Mid-Maine Tech Center, St. Croix Regional Tech, Sumner Pathways Career Program, United Technology Center, and Waldo Tech Center; New Hampshire - Concord Regional Technical Center, Hartford Area Career & Technical Center, Manchester School of Technology, Milford High School & Applied Technology Center, Nashua Technology Center North / South, Region 14 Applied Technology Center - Peterborough, Sugar River Valley RTC Claremont / Newport, and Wilbur H. Palmer Career & Tech Center; Vermont - Central Vermont Career Center, Hartford Area Career & Technical Center, Randolph Technical Career Center, River Bend Career & Technical Center, and Stafford Technical Center. Application requirements include a personal statement describing career aspirations and college choice, explanation of leadership and community service, high school transcript, and one-page scholarship application. This scholarship is offered by Bar Harbor Bank & Trust. For questions, please contact the Director of Community Giving at 207-667-7100 extension 10986. 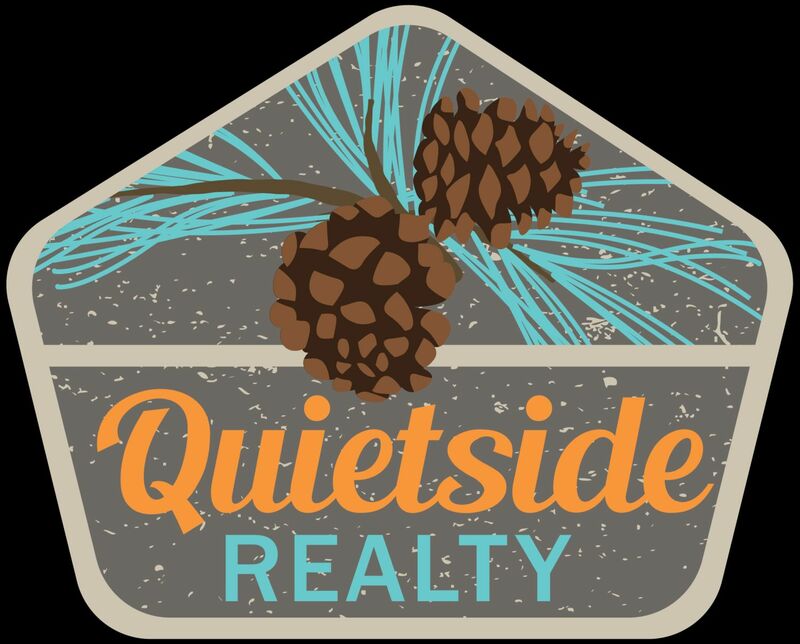 Welcome to new Chamber Member Quietside Realty! "Connecting you to your new home is one of my passions. I am Bonnie Boisvert from Quietside Reality, a year round, full service brokerage. I have been a real estate agent for 17 years and was in banking and home rentals for 15 years prior to that. With all my knowledge and experience in coastal Maine, I can make the search for your home an adventure. Downsizing and selling can be difficult passages, I can help you make those transitions smoothly and efficiently. My promise to you is a commitment to excellence, enthusiastic representation, and professional work ethic. "Besides real estate my other passion is animals, especially dogs. My husband, son, and I have three dogs all rescued from shelters. I enjoy hiking in Acadia National Park here on Mount Desert Island with my dogs and friends. My home and office are located in Southwest Harbor, my hometown for the last 39 years. Give me a call, email, or text to discuss your next move to or from coastal Maine." Be sure to say Hi to Bonnie and welcome her to the Chamber! Beal's Lobster Pier Hosts "Support Our Local Coast Guard Families"